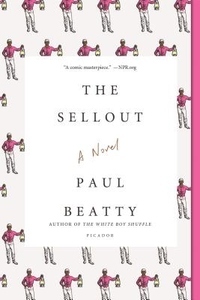 A biting satire about a young man's isolated upbringing and the race trial that sends him to the Supreme Court, Paul Beatty's The Sellout showcases a comic genius at the top of his game. It challenges the sacred tenets of the United States Constitution, urban life, the civil rights movement, the father-son relationship, and the holy grail of racial equality--the black Chinese restaurant. Fueled by this deceit and the general disrepair of his hometown, the narrator sets out to right another wrong: Dickens has literally been removed from the map to save California from further embarrassment. Enlisting the help of the town's most famous resident--the last surviving Little Rascal, Hominy Jenkins--he initiates the most outrageous action conceivable: reinstating slavery and segregating the local high school, which lands him in the Supreme Court.